Global economic integration and information network have brought radical changes to the operational management of business processes. Emerging information technologies, such as the Internet of Things (IoT) and big data, have fostered customers’ changing personalized demands and accelerated the product updating speed, thereby impacting traditional production patterns. Empirical studies found that the IoT infrastructure can effectively support information systems of next-generation manufacturing enterprises . 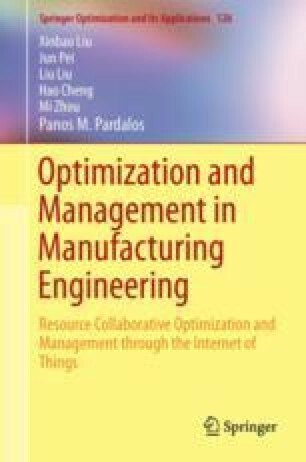 More specifically, the requisition and sharing of a product’s life cycle (e.g., market demand, usage, and recycling) information in an IoT-based manufacturing enterprise have the following advantages over traditional manufacturing scenarios: (1) more comprehensive acquisition of product life cycle information, which would be impossible in a traditional manufacturing environment, (2) precise detection and analysis of on-site data through the perceptual and application layers of the condensed sensing network, and (3) faster information transmission in an intelligent manufacturing environment, so different hierarchies can conveniently access the needed information.